More than hundred years of Tour de France’s history has scene unparalleled shows of courage, persistence and stunning skill of the cyclists whose artistry on the bike could easily put those with pencils and brushes to shame. All those legendary, sweat-soaked performances on the French Alps will forever remain etched on the minds of historians and all those who understand the difficulty of this sport and the austere life of its practitioners. However, there is more to this tournament’s history than these frequent shows of gallantry on cyclists’ part. The sporadic scandals that have gone hand in hand with Tour de France ever since its beginning have done no service to the sport or to the event itself whose name got sullied; sometimes by the cyclists found using illicit performance boosting drugs and sometimes by few inhumane organizers who got reproached by the cyclists for designing- what they deemed impossible to scale- tracks. July 1998, Team Festina’s employee, Willy Voet, got pulled over by custom officials at Belgian-French border. Banned drugs used for performance enhancing were found in his car and that lead the officials to raid team Festina’s office and they ended up rounding their team doctor who didn’t take long before accepting the presence of a systemized doping system at Team Festina. All 9 cyclists of Festina got expelled from Tour de France and police didn’t stop at just Team Festina. Offices and accommodations of numerous other teams were raided much to the irk of the cycling teams who protested by dawdling along the 17th stage of the race during which at one stage they threatened to pull out of the race all together. The stage’s results were nullified and later huge number of cyclists abandoned the race at the pretext of them being treated as criminals by police. Only 96 of the original 189 starters completed the race on August 2. Lemond, who till day is America’s only official Tour de France winner, got an unexpected rival out of his own team when Hinault – five time Tour de France winner himself- after clearly vowing to help Lemond win the 1986 TDF attacked Lemond on the 17th stage to grab the honor for himself. In TDF only one cyclist manages to win the event but he gets there by the help of his teammates and Lemond had previously helped Hinault in winning accolades just the previous year. This sudden attack by Hinault must have left Lemond stunned who did well to recover and ended up winning that year’s TDF. Hinault retired from professional cycling after the race but he did get his auspicious career tainted by this act of betrayal. The more you read about him the more you become fan of his resilience, this Maurice Garin guy, must be one hell of a cyclist to have won the 1904 TDF even after so many hardships. 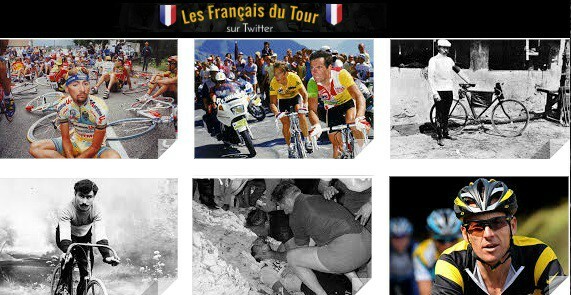 It was the second edition of Tour de France and gauging by the violence that this edition saw, it could have been the last one as well if not for the persistent organizers. In the very first stage Maurice Garin and Lucien Pothier got ambushed by 4 masked men who attacked them but still both of these cyclists finished the stage as first two. In the second stage, some two hundred fans barred the path of the rest of the cyclists one the local boy who was leading the pack had passed through that area. The situation got so out of the control that shots had to be fired in the air to control the situation. Amidst all this brouhaha our guy, Garin, got his hand injured. If all this confusion wasn’t enough, cyclists had to battle their way through the road which was almost smeared with broken glass and nails. Many had their tires flattened. Despite all this mayhem, Maurice Garin came out triumphant in the second edition of Tour de France. In the summer of 1967, one of the finest British cyclist, left the cycling world mourning for the loss of one of the finest cycles of that era. Tom Simpson died while grinding his way up Mont Ventoux in the 13th stage of the race. He started the stage pretty fine but experienced trouble as he fell of his bike and was helped in remounting only to fall again some time later. Hearsay was that despite the banning of alcohol, Simpson had had brandy and maybe that contribute in his sad demise somehow. His team’s doctor had him transferred to a hospital immediately but Simpson lost the battle with death at 29 and became the first cyclist who dies during the race. 1978’s TDF got marred by controversy when the then Belgian champion who had also managed to get his hands on the yellow jersey in that TDF got ousted of the event after foul play in the dope test. Pollentier was found using a pear shaped tube containing clean urine under his armpit and tried to provide the sample for dope test out of that tube. To his bad luck, what aroused doctor’s suspicion was another cyclist who was having trouble operating this system and got busted. The doctor asked Pollentier to raise his jersey which was synonymous to him himself announcing his exit of the TDF as he was expelled out of the TDF. Michael Rasmussen was wearing the yellow jersey and was confidant to get on podium once the race concludes in the 2007 edition of Tour de France. Little did he know that his career would rather see a disgraceful turn as he got fired by his very own team which not caring for Rasmussen’s ability to lead the team to a prospective win, fired him for lying about his whereabouts prior to the race. A cyclist has to share his location with his team all the times and Rasmussen lied about that. Later he got banned from 2007-09 for lying. Time five time winner of Tour de France, Belgian Star, Eddy Merckx was on his way to making history by breaking the record of 5 TDF victories of a French cyclist in 1975 edition of Tour de France when the unthinkable happened. In a harrowing turn of events, few fans punched Merckx in kidney – 5 punches in total. Later it transpired that they fans didn’t want a Frenchmen’s record to be broken by a Belgian and that is what motivated their disparaging act. Eddy later broke his cheekbone and couldn’t win the 1975 TDF. People kept accusing him of cheating and he kept racking in titles after titles. But in a staggering confession in 2013 he accepted that some of the allegations about him remaining involved in doping were true. A lot has been written and said about him and his legacy so we won’t go into that. 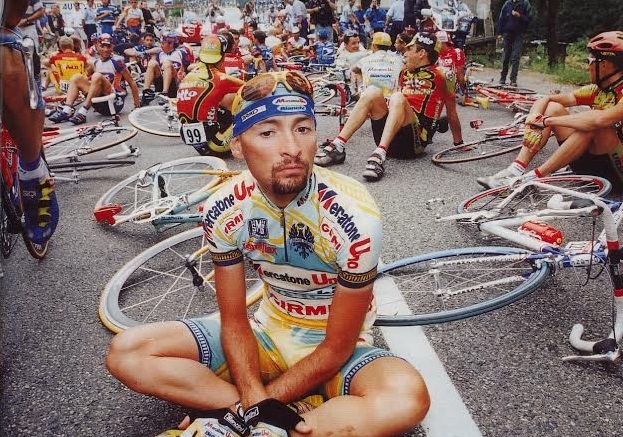 But for a guy who had remain the undefeated champion of Tour de France from 1999 to 2005, it is almost unimaginable the magnitude of change his personal world might have experienced. Needless to say, he got stripped of all these titles. 1910’s TDF saw a little innovation in the track as the organizers announced to include the Pyrenees in it. Cyclists considered this move as a dangerous stunt and few went so far in their protests that they withdrew from the Tour de France all together. Only one cyclist, Gustave Garrigou, was able to ascend the Tourmalet without dismounting. The eventual overall winner, Octave Lapize shouted at the organizers “Assassins” who had come to see the riders struggle with the mountainous climbs.